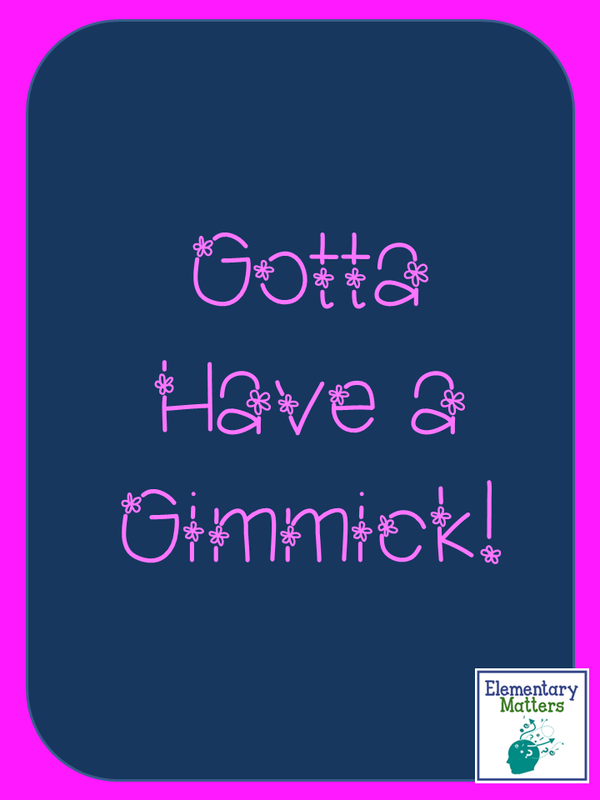 Elementary Matters: Gotta Get a Gimmick! There is a song from the Broadway show Gypsy called Gotta Get a Gimmick! Many of you may know I'm a big fan of musical theatre, and have performed in many, many productions of theatrical shows. In fact, I tend to be rather theatrical in my classroom, too. This post has nothing to do with that show. This is a Bright Ideas post! But, seriously, have you ever noticed how a silly little gimmick can grab the kids' attention and turn an mundane task into something exciting! I'm sure you've done it! Here are some gimmicks I've used! Giant Dice: I'm sure you've seen these! 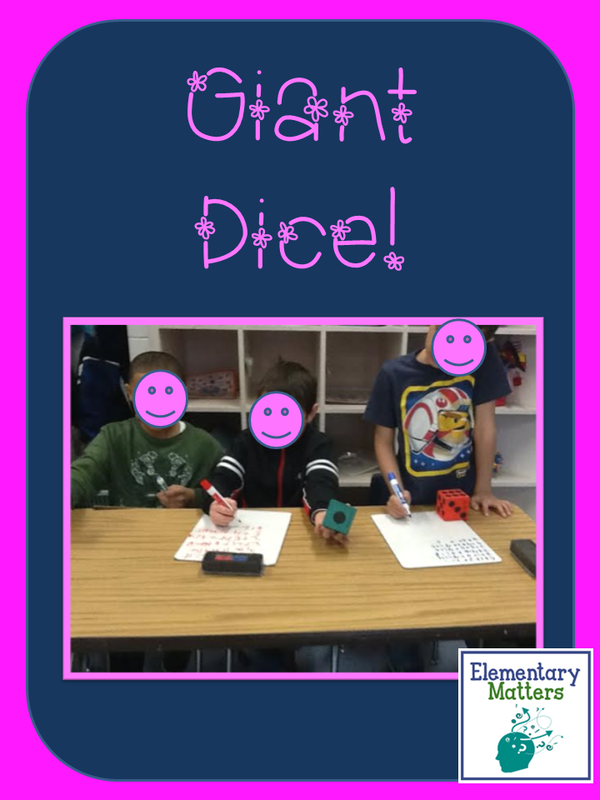 I could have given these little guys a worksheet to practice adding 3 addends, but the giant dice and the whiteboards made them forget they were practicing a skill! M&Ms! 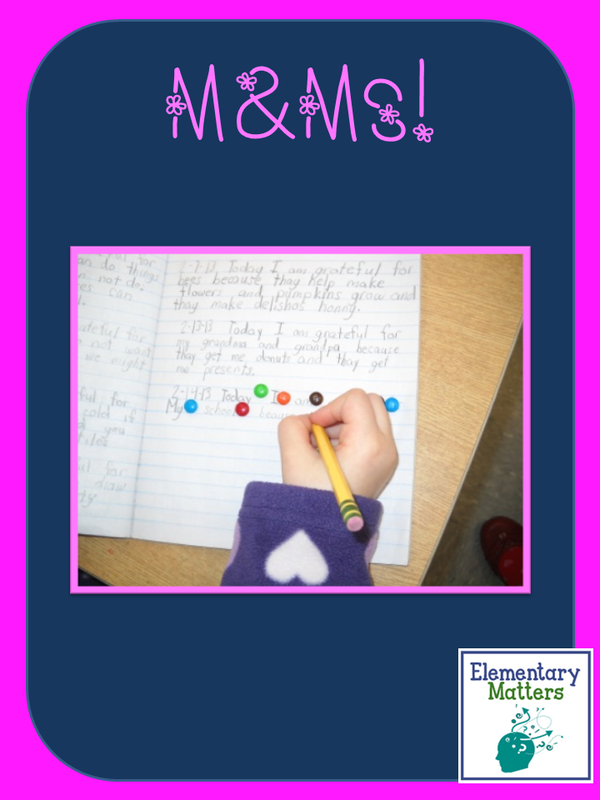 This lovely lady found the M&Ms a fun way to make sure she was leaving spaces between words! Brain Breaks! These two cuties are doing wall push ups. The kids absolutely love this stuff! Plus, they need it! These two are playing a game that has the Brain Breaks build right in, but they don't need to be "built in". 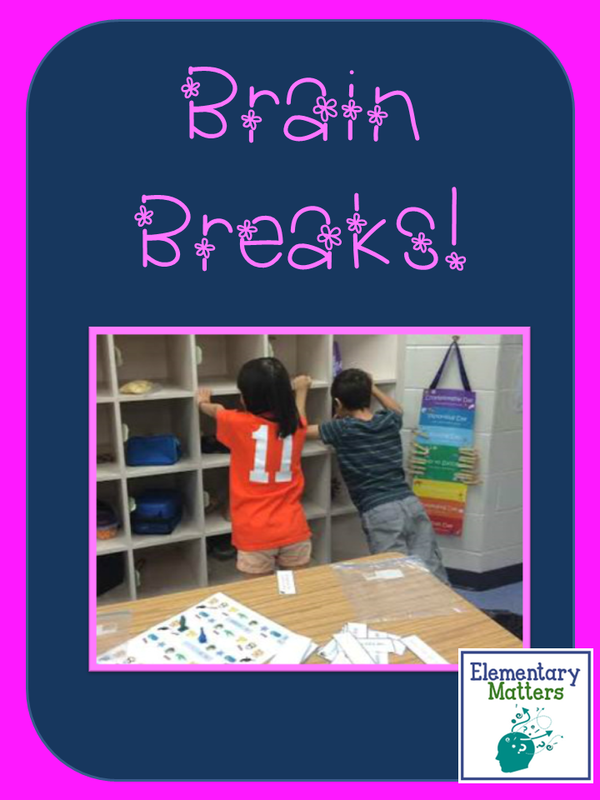 Brain Breaks should be a big part of every day! It's amazing what a small amount of movement or a change of pace can do for learning! Mini Cards! These young gentlemen are practicing addition with 2 digit numbers. 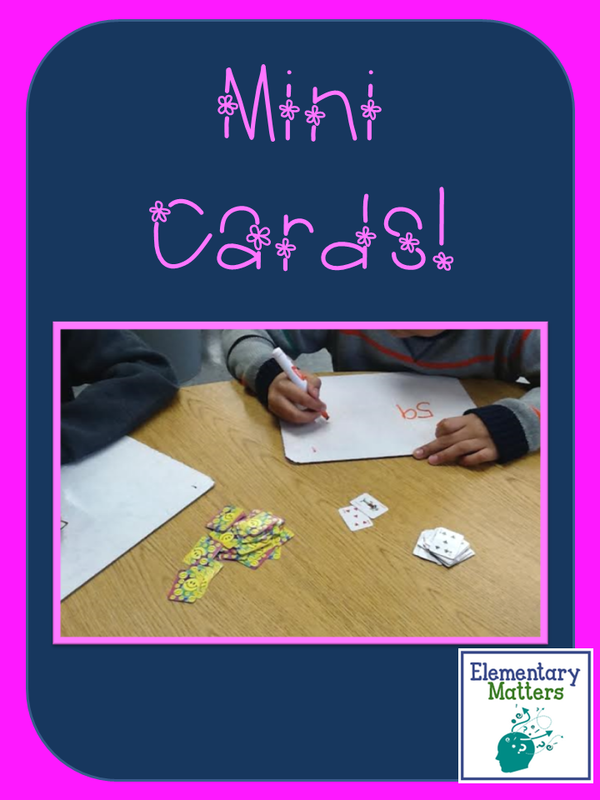 This is another case where a worksheet would be sufficient, but these little mini cards just make it so much more fun for the little guys! They love these! Bracelets! These bracelets are simply beads (from any craft store) and pipe cleaners. This particular one was made for the new year, and was a chance for the children to practice facts that add up to 14. They can manipulate the beads to make 8+6 or 9+5 or other combinations. 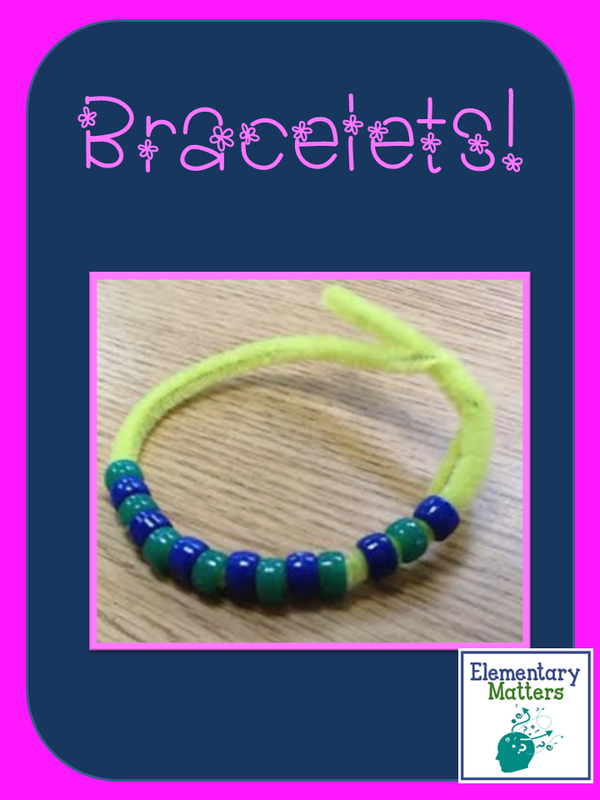 My students love these bracelets so much, they even make them at indoor recess! I have plenty more, and I'll bet you do too! I don't believe in ALWAYS using a gimmick. Sometimes they just have to work. But sometimes they need a little something extra to get them going! If you like what you see here on Elementary Matters, please join me on facebook, Twitter, or Pinterest! 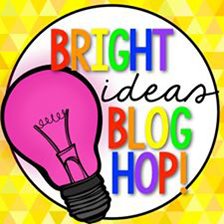 For more Bright Ideas from lots of fabulous bloggers, browse through the link up below. You'll be amazed by the bright ideas! 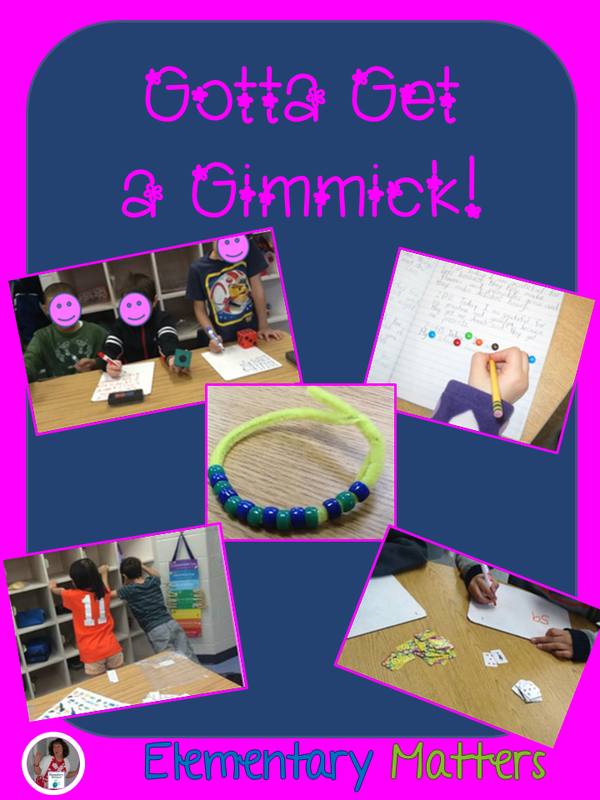 Thank you for sharing these ideas, Sally! 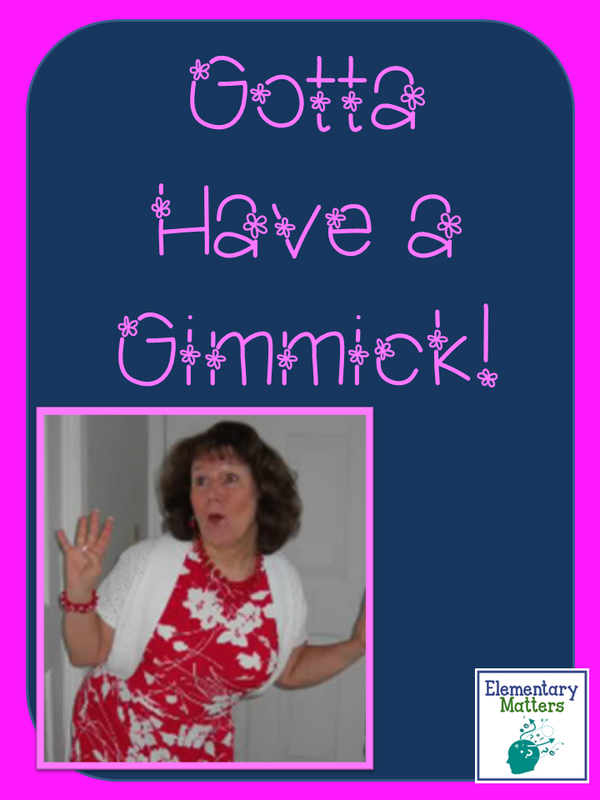 They are great ways to motivate kids and keep them engaged! Sally- I love your posts and ideas! I'm dating myself but I saw Gypsy on Broadway! I'll bet Gypsy on Broadway was awesome! My kids love the large dice! Isn't it amazing how something so simple keeps them engaged? You didn't mention chocolate Sally - that gets me working! I love big dice and I also have an enormous calculator that they love! Chocolate works for me, too! Clip Charts, Yay or Nay? I Won Big in Vegas!